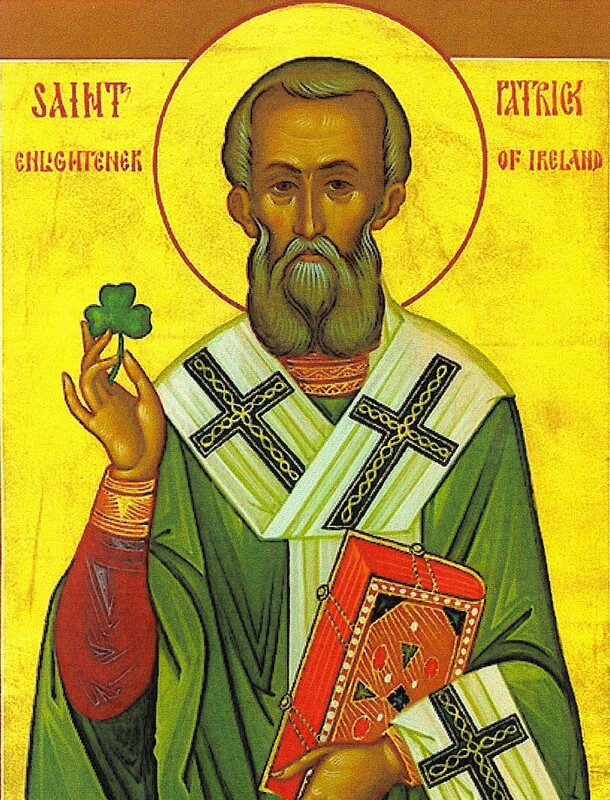 Before you hoist a green one, what do you know of St. Patrick, patron saint of Ireland? For starters, he was neither Irish nor a saint…at least never canonized as a saint by the Roman Catholic Church. Born around 390, Patrick’s parents were Romans living on the Welsh coast. Patrick came from a family of both economic means and Christian faith: His father was a deacon and his uncle a priest. As a boy, Patrick was taught the faith, but it didn’t take. After 6 years God came to him again in a dream and told him, “Your boat is ready.” Patrick fled, successfully evaded capture for some 200 miles and stowed aboard a ship to England. Safely at home, he decided to repay God for his rescue by becoming a priest. In 432 Patrick returned to minister to those who held him in servitude. As the result of this calling, and bolstered by a highly developed theology of evangelistic duty, Patrick went to the pagan northern and western regions of Ireland where there had been no previous Christian witness. He began by sharing the faith with kings and chieftains. His ministry was highly unorthodox for his time: Usually bishops were sent in response to existing Christian communities. Patrick, however, was the first to bring the Gospel to this land. Wildly successful, he remained in Ireland for the remaining 30 years of his life. Thousands were converted and many clergy ordained to extend his work. It was not all fun and games either: Christian raiders from Britain killed a group of newly converted Irish men and stole their women into slavery while still in their baptismal robes. As a former slave, Patrick understood the evil of slavery and argued forcefully for their return, asking that the tithes on their ill-gotten gain be refused and his letter condemning the raiders be read in church every Sunday until they released the women. Patrick was, arguably, the most significant pioneer missionary of the early Western church. By 400 AD, the West was already developing a Rome-centric clericalism. Clergy just did not run off to foreign lands in 430 AD. Not since the Apostle Paul, who said, “I aspired to preach the gospel, not where Christ was already named, so that I would not build on another man’s foundation,” had there been a self-selecting missionary in the West. Patrick’s mission was also the first recorded effort to build Christianity outside of the wall of the Roman Empire without having first been invited. Patrick built churches much closer to the New Testament model of engagement with the world, rather than the retreating church of the monastic model that would emerge in the rest of Europe to cope with the dark ages. He knew the Grace of God. Patrick knew that he was a sinner and that it was God’s grace that redeemed him and compelled him to ministry. He listened to God. We have five recorded dreams in which he heard God speak to him. God drew Patrick’s heart, and Patrick moved his feet in response. He relied on the powerful testimony of God’s action in his life to rally others. He knew the Scriptures well and either alluded to them or quoted from them overtly in nearly every verse of his Confession. Go: He felt compelled to “Go into all the earth” and focus on those who had previously not heard the Good News. Reach: He intentionally and boldly evangelized kings and persons of influence. Reproduce: He called people to personal conversion and developed indigenous leaders. These are the hallmarks of effective missionaries throughout history. We see in Patrick, much more than an excuse to drink green beer. Patrick was a man confident in the God who both called and used him mightily. He moved and ministered fearlessly in response to that call. Ironically, 150 years later it was the spiritual descendants of Patrick, Brendan, who saved Christianity in Europe, but that is another story for another post. Surely Patrick’s life and ministry make March 17th, the anniversary of Patrick’s death, a day worth celebrating. He was a fearless lover of God who would go anywhere and do anything to reach people for Jesus. Perhaps, as we lift a green one in Patrick’s honor, we would be challenged to follow his example. Justo Gonzales, The Story of Christianity, vol. One (Peabody, Mass: Prince Press, 1984). Ulfilas mission to the Goths in the 75 years earlier had come at the Goths invitation. Gonzales, 218. Great post, Matt. Like many other traditions that originated from “churchy” things, we have forgotten that St. Patrick is an example to all missionaries around the world. Especially in our secularistic society, to be a missionary is no longer to go into a far off land to spread the Gospel. One can simply step into their nearest grocery store and they are now in a missionary area. VERY INTERESTING! AND ENLIGHTENING! Thanks! Not being Catholic or Anglican, i have never given much thought to Patrick. Very informative read. Matt, you always seem to inform me of things I have never given any thought! Faren, you continue to make me smile. Thank you. And Patrick was the man. Darnit. Now I’m going to have to work on that.